Cat videos, music prodigies, gold dress vs blue dress…this is the kind of content many of us have increasingly been seeing on social media within the last few years. While this kind of content goes viral (sometimes very unexpectedly) it doesn’t scream “Come work for us!” or “Look at our company culture!” to the top-notch talent many organizations need. The way companies go about successfully attracting talent has to be focused on the end goal — finding quality candidates. Here are a few examples of companies who post extremely relevant content to their social media outlets to attract the right audience — top talent. People having fun at work. While searching for a job, candidates want to make sure the company culture will be a good fit for their needs. Some organizations will have more of a serious, corporate feel, which is intriguing to some, while others will have a more relaxed cultural environment which is important to others. As seen above, Havas Worldwide Chicago posted this picture to Instagram just in time for the series finale of Mad Men. Being a globally renowned creative agency, this post is highly relevant to the talent they are trying to attract — those interested in advertising…and FUN! Posting for a good cause. People love seeing companies that work toward bigger goals than just their own. People also love working for companies that do just that, which is why it is important to post content regarding the causes your organization works toward and supports. 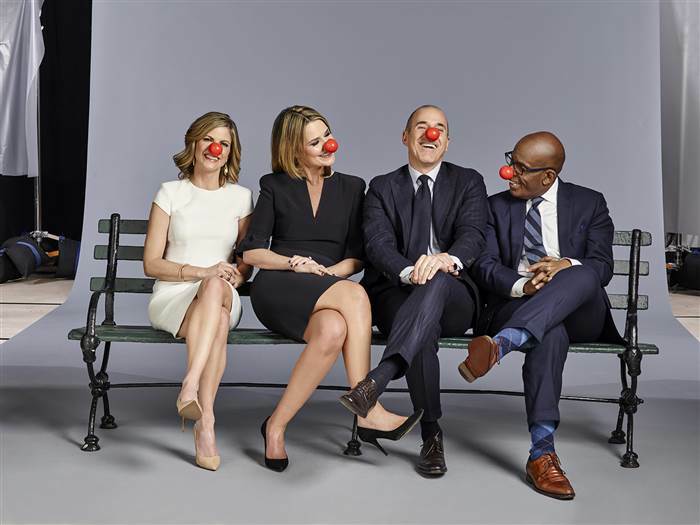 On May 21st 2015, Matt Lauer from The Today Show rode his bicycle from Boston to New York City for Red Nose Day, a cause to bring awareness to children living in poverty in the U.S. and abroad. Red Nose Day also supports domestic and international charities such as Feeding America, Save The Children, Boys & Girls Clubs of America, along with many others. And if you’re not the biking type, people around the world simply wore red noses to show their support — ya know, the kind you see on your favorite childhood clown. Another cause that took social media by storm was the ALS Ice Bucket Challenge. For those of you who missed out on these videos on your Facebook news feed, this is where individuals (and sometimes corporate groups) would pour a bucket of ice over their head and nominate other people to do the same to fund a cure for Lou Gehrig’s Disease. If those who were nominated decided not to do the challenge, they were asked to donate to the ALS Foundation. A few notable companies who participated in the ice bucket challenge include: the Atlanta Falcons NFL team, JPMorgan Chase & Co., Randstad, LinkedIn, etc. (the list goes on and on) — even Kermit the Frog participated! Both of these examples of posting for a cause attract talent based on values, which plays a huge role in overall company culture. Of course if you want to attract talent to work for your organization, you’re going to need to broadcast your career opportunities. Check out this clever tweet Intel sent out to its potential candidates. Posting your open positions on social media is also free advertisements (assuming you aren’t paying for social media ads)! By broadcasting your jobs in a creative way like Intel did, you also cast a wider net and reach potential employees you may have missed out on. This is particularly helpful for when you are looking for a large response or if you have many openings for the same position. Who doesn’t love winning free stuff?! HubSpot held a “Summer Book Club” giveaway where people interested in marketing (which is exactly what HubSpot does) can opt-in with their email for their chance to win free marketing books throughout the summer. Not only does this add email addresses to their prospect list, this shows their target audience (marketing professionals) that they care about their customers’ interests. This tactic works for attracting talent since those who are already looking for marketing roles are brought to their landing page and if they like what they see (which is always the hope with landing pages) they can browse further into the site…and quite possibly could land on their careers page. I don’t know about you, but when I am looking to work with a company, I dig through their social media accounts to find out what other people are saying. Whether that be my cable provider or a new restaurant I want to try out, having some insight from others come in handy when making decisions. Yelp has an entire business model devoted to the idea — peer reviews are a super successful means of content when making decisions. This same mentality could work for companies looking to attract talent. Just as many consumers look for reviews on products and services, job seekers want to work for respectable companies — so seeing customers and employees having positive experiences with a brand is appealing for potential employees (which could explain Glassdoor’s success). Make sure your prospects are always learning from you! Even if your intent isn’t necessarily to attract top talent, attracting other influencers in your space is also helpful and gives your organization credibility. Resources like whitepapers, eBooks, free eCourses, and your company blog are all incredibly useful hubs where people can see what your company is really about. These resources already target your audience, so attracting passive candidates that are interested in what you do can be a result of posting information-rich content. The main advice to take away from this post is to be authentic on social media. In order to attract the talent you want (and need), be real and let your true company culture shine! This is your opportunity to really showcase your brand, because more often than not, people do NOT want to get sold on a particular product on their social media accounts. Instead, tell a story, keep it light, and keep them wanting more content! If you’re interested in learning more about how to attract top talent to your company, check out Spark Hire’s blog post titled “3 Tried-and-True Ways to Attract Top Talent”. 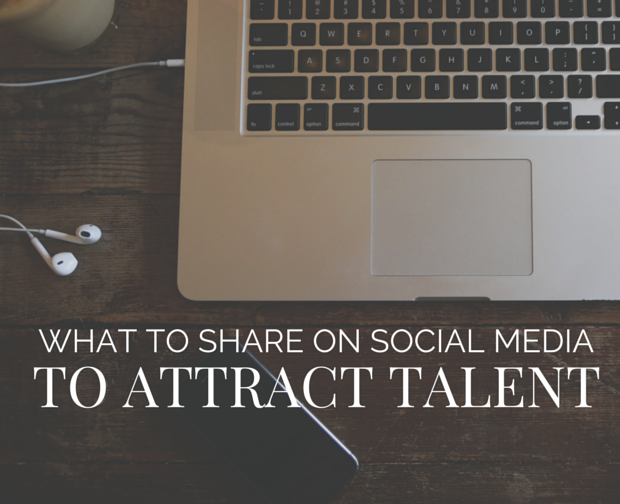 What are some other brands that use social media to attract talent, and how do they do it? And just for fun, what are some examples of things you dislike about companies using social media?